Many people expect Sardinia to be a carbon copy of mainland Italy – wrong! I’m a lover of and frequenter of both places but don’t confuse the two whatever you do! Taking my family there for a third year running I thought it might be nice to let others know what really sets Sardinia apart in my eyes and which are my top Sardinian Hotels. 1)They don’t just speak Italian here. They have their own language. Sardo, is a rich language that varies even from village to village but it’s alive and kicking in Sardinia with 1.5m people speaking it! Spanish, Latin and Catalan influences, it’s a Romance language and adds to the exoticism of this very special island. Sardinian is unintelligible to most Italians! Nevertheless, the following languages are all found in Sardinia; Italian, Sardinian, Sassarese, Corsican Gallurese, Catalan Algherese, Ligurian Tabarchino. It truly is a melting pot in every way. 2) It’s slightly closer to Africa than it is to Italy. Around 200km to either coast. As the oldest part of Italy, Sardinia saw mass migration of Africans before 50000BCE. adding another layer to the islands colourful past. 3) It’s all about history, history and geography?! With 1800 km of coastline and beaches closer to those found in the Caribbean than anywhere in Europe. The Sardinians were once very wary of the sea. Whether myth or now so looking more like science, 1153BC seems to have seen a massive tidal wave that wiped out villages and towns. Nobody was aware of tidal waves in this area until the 1980’s, yet inscriptions on the walls in the temple of Ramasses III talked about an earthquake and then engulfment by water. Since 2004 scientists have identified hundreds of similar events. 3) It’s not all billionaires, super yachts and supermodels. 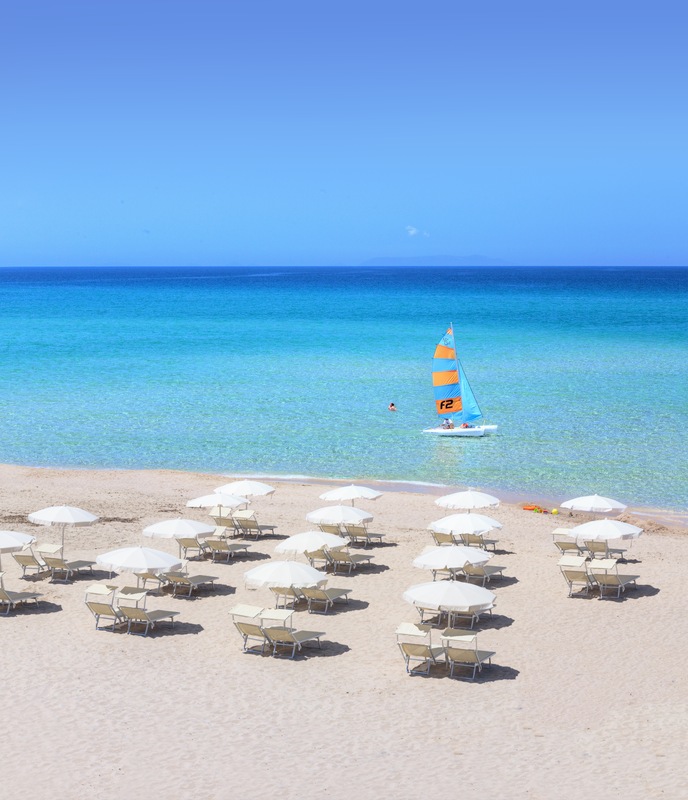 Sardinia has numerous hotels catering for families with the all-important kids’ clubs. The soft sand and amazing little coves dotted around the coast provide near perfection for the little and the not so little. It is one of my favourite family destinations for a beach holiday. My top pick is Delphina Hotels. They have the beautiful North covered, with a range of 4 and 5* properties and an emphasis on nature, food, family and thalassotherapy, they manage to please everyone in the family. Last year we stayed at Le Dune – think kids’ clubs, little villages hidden in the bougainvillea and parks bustling with families and atmosphere well into the late evening- typical Mediterranean. This year we are taking my mum, so are going to Valle Dell Erica– a 5* known for its relaxation and spa but with all the kids facilities too. ( I’ll report back later in the year). Delphina Hotels offer the best accommodation by far in Sardinia. 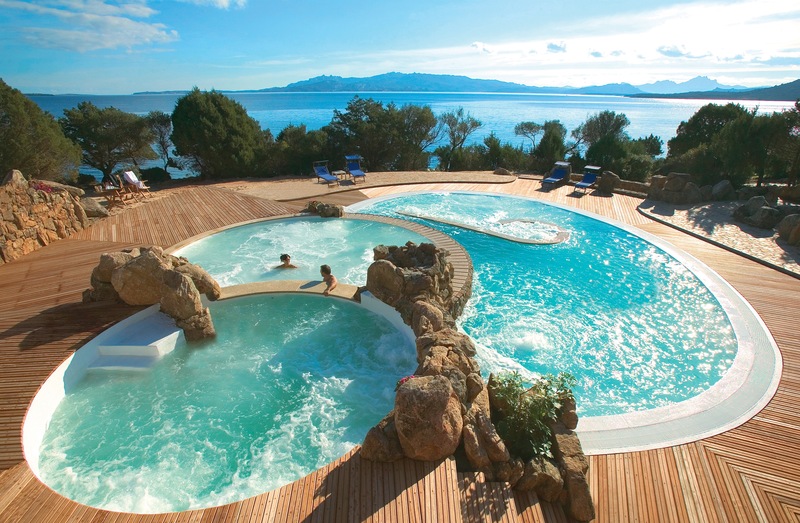 They have 4* and 5* hotels dotted around the idyllic North of Sardinia. Between the North East and North West of Sardinia, between Badesi and the Costa Smeralda. Covering Isola Rossa, Santa Teresa Gallura, the La Maddalena Archipelago, Palau and Cannigione. Something for everyone From Il Mirto Residence – exclusive apartments set in the stunning green park filled with olive and juniper trees, Cala Capra, 40 kms from Palau on the Capo D’Orso. 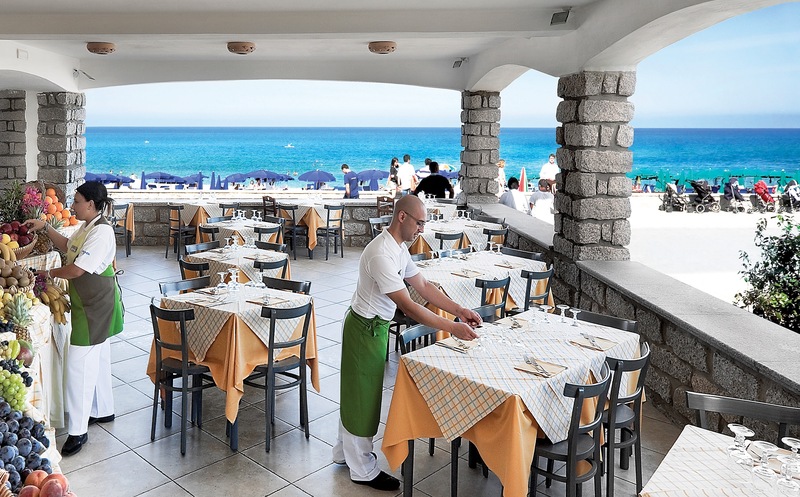 Brilliant for families looking for independence with a options to eat in more formal restaurant, Il Paguro and then also the ‘Approdo’ Pizzeria and Snack Bar. They really have thought of everything here with gluten free cuisine on offer too. Being close to Delphina’s 5* Capo d’Orso Hotel means that residents at Il Mirto have access to the ‘L’incantu’ Thalasso Centre and Spa. Three thalasso saltwater pools of varying temperatures. What could be better than having a massage in the open air, breathing in the intoxicating scents of the Mediterranean maquis? Water in the pools is taken in a continuous cycle from La Maddalena Archipelago National Marine Park. Only micro-filtered, no chemical purification at all. Getting back to nature here is easy. The 5* Capo d’Orso Hotel itself is situated on a bay directly opposite Porto Cervo. This is a hotel with a romantic setting. 100,000 square metres of parkland, olive and juniper trees, swimming pool on the rocks and a stunning, fine sandy beach. For the golfers, there’s a 9 hole pitch and put, again set in a backdrop of gorgeous Mediterranean parkland. 86 elegant rooms, and 40 suites all decorated in true Sardinian style, this really is a place to relax, indulge and let go. For families, there is nowhere better than Le Dune. I visited last year and was blown away by the place. Beautiful beach, tick, massive, age-specific kids club with passionate staff, tick, fragrant, exotic flora and fauna, (they have a bird sanctuary, a herb garden, a stables…the list of facilities is endless) set within this beautiful, wild, 280,000m2 of private park and flanked by sand dunes, you would be hard pressed not to think that this were paradise. With a choice of 5 different 4* and 4* superior hotels, the choices are endless but the quality never falters. Within the resort are 10 fabulous restaurants and six pools. You never feel cramped nor part of some big, plastic hotel complex. Rather, low-rise rooms within the hotels are built-in traditional Sardinian style and dotted and hidden around the hillside, accessible via fragrant walkways flanked with scented flowers and shrubs. The food here is traditional Sardinian and Mediterranean. Whether you want an authentic pizza or the freshest of seafood at the beach, you will never be disappointed. It is within the ethos of Delphina as a whole to offer the highest quality local produce and the deliver in every way. 4) Artisanal Gelato is a BIG thing here. Be prepared to eat lots of it. 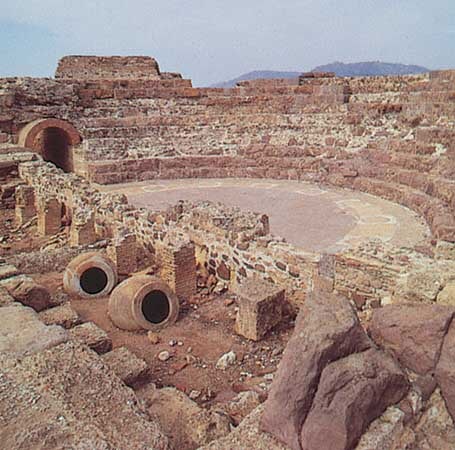 5) According to the Sardinian legend, after god created earth he took all the leftover pieces, threw them into the sea and stepped on then to form the island which is Sardinia. 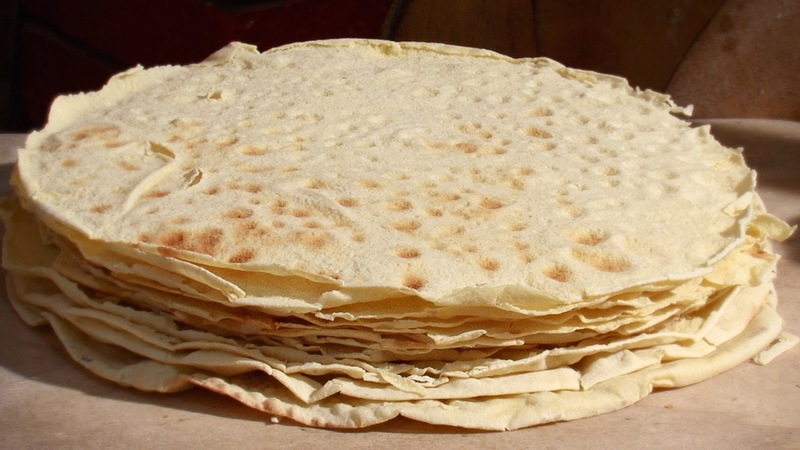 6) Don’t think pizza but instead flatbread – pane carasau is the most delicious, crisp flatbread. Best eaten warm, sprinkled with sea salt and rosemary. Again steeped in Sardinian history- it was the food of shepherds that keeps for up to a year. Now, it’s served everywhere! 7) Rotten cheese with live maggots is a delicacy here. 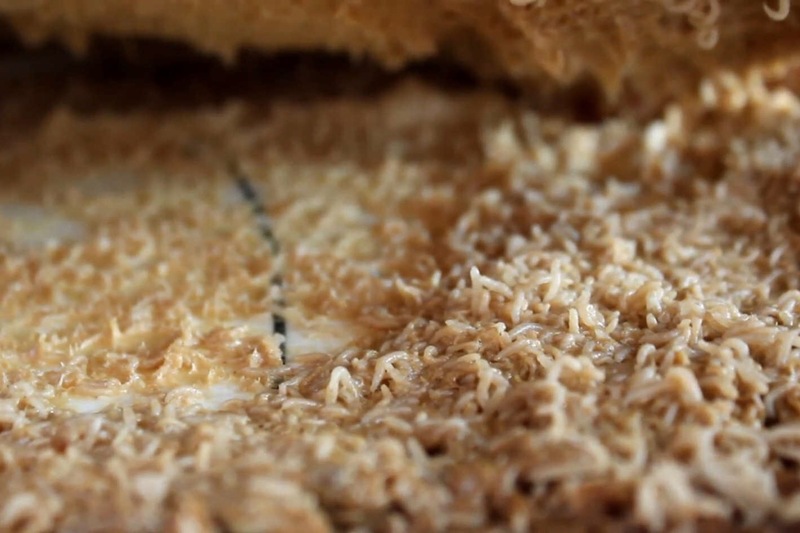 Casu Marzu is a very aged pecorino. Outlawed now in Europe, it is only available in Sardinia, where it is made by introducing cheese fly larvae into the cheese to ferment it. It has to be eaten whilst the maggots are alive although some do remove them first. Now I adore cheese but even I’m not sure I could go this far! 8) For the flora and fauna, Sardinia cannot be beaten: 60 wildlife reserves with some rocks dating back 500 million years (there’s the history again!) and 3 national parks makes it a dream destination for holidaymakers after more than a few glitzy shops! 9) Sardinia stands for longevity- here live some of the longest lives in the world. In 2002, the oldest man in the world died at 113 years old. Sardinia boasts one of the highest number of centegerians in its population in the world! 10) Despite consuming nearly double the amount of beer of their Italian cousins, Sardinia produces some delicious wine. For oenophiles I’d recommend visiting Sardus Pater – a cooperative of 200 growers and Olianas for biodynamic wines. Cannonau is the main Sardinian wine. With the grape (grenache) grown all over the island. The century old tradition of small plots of vines being cultivated for wine to drink at home lives on. Now, if that’s not a good enough reason to get yourself there, I don’t know what is! Ps If you are looking for a team to book the whole package for you, then Just Sardinia is the perfect travel agent. These guys know their stuff, are super professional and will get you the best flight options available too. There’s aren’t many specialists out there any more, most have disappeared with our online age. So you know, the ones who are left have something exceptional to offer. Just Sardinia has been in the business for 17 years and the experience shows.